Our VELUX deck and curb mounted fixed skylight is perfect for visually expanding areas such as hallways, stairwells, and other closed-in, dark spaces that can be transformed with light and sky views. 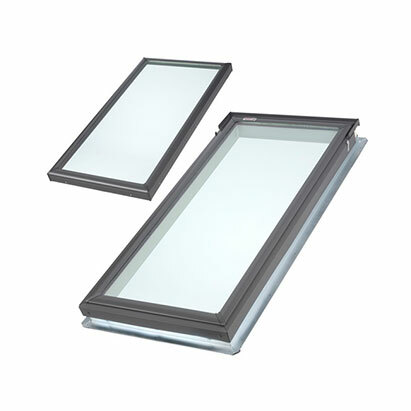 The VELUX fixed skylight provides an economical choice in creating a spacious home that is filled with natural light. Heavy-duty materials ensure that our VELUX fixed skylight is built to withstand the installation process, as well as anything Mother Nature throws its way.